Les installations comprennent un barbecue à gaz extérieur (y compris un réservoir supplémentaire), des tables de pique-nique pour les repas en plein air, des chaises de plage, un fourre-tout de plage et un parasol. Les loisirs de l'association comprennent un panier de basketball, un jeu de palets et une table de ping-pong en plein air. For the price and location, this place is perfect and everything you would expect and want in a cottage at the Cape. Clean and conveniently located, you'll find everything you need to enjoy your stay. The kitchen is fully stocked with every pan, dish and utensil you could possibly need. The area is quiet and peaceful. An easy walk to a beautiful beach - far less seaweed than you'll see on other Cape beaches. All of our favorite spots to visit (The Dog House, Joey's Pizza, Sundae School) are right in the area and easy to get to. The outdoor shower is wonderful after a day at the beach and there's never a lack of hot water. The sleeping areas have an unusual configuration but make the most of the space in a small cottage to maximize the number of beds. Kate was wonderful about quickly answering the few silly questions I had during our stay. We had a wonderful two weeks here and hope to stay again next summer. Wish we had stayed elsewhere. The cottage was in a super location. We loved the outdoor shower and owners were friendly, helpful and accommodating. However, it is very worn , old and did not seem entirely clean. Kitchen was covered with ants when we arrived. Living room couch was thin and worn with a burlap feeling cover...not comfortable. Bedrooms were very quaint but again did not feel very clean. Found food trails under mattresses. The place was crawling with ants all week. We notified the owner who was lovely and came over to help but with little success. We were told Cape Cod is having a bad ant year, which I completely understand. However, I think had the place been cleaner, we would not have dealt with them all over and in the beds and on the couch. It made for a very uncomfortable stay. We will not be returning. We completely understand and we apologize if the cottage was not to your cleanliness standards. I do post my cleaners phone number in the event that it's not clean upon your arrival. The cottage was built back in the forties, it's cozy and rustic. We've made it as comfortable and cheery as possible, but try to stay in that theme of 'Ol Cape Cod. Again, a bad year for ants, we apologize. The cottage has been treated and is treated twice yearly. We do want to thank you again for staying with us. 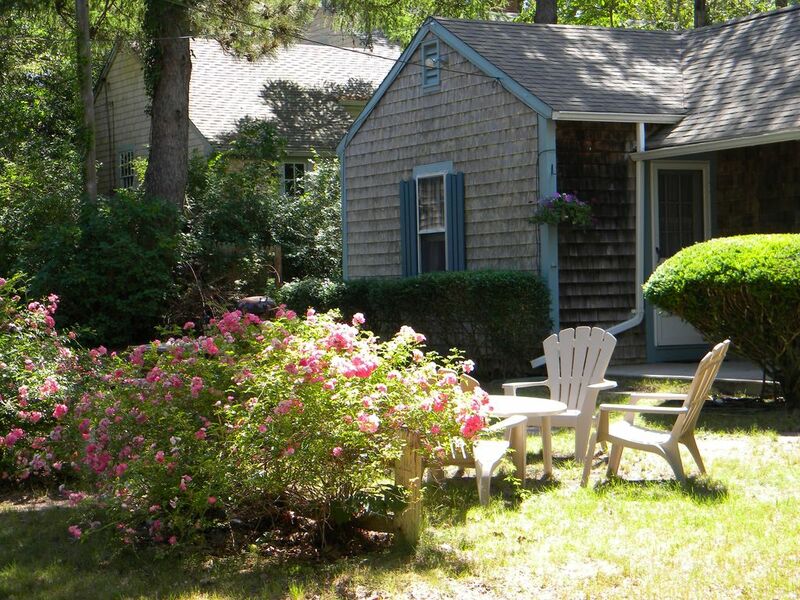 Adorable duplex/cottage that is a short walk to Pleasant beach. Rustic & cozy with an indoor & outdoor shower. There's a grill, beach chairs, & private back yard. Enjoyed a quaint, Old Cape Cod vintage style vacation. There's a lighted shuffle board & ping pong court & basketball hoop. Great for young families & teens. There's a ton of things to do just minutes from the property. Près de nombreuses attractions de Cape Cod. Y compris Cape Cod League Baseball, Musique Stroll le mercredi soir dans Harwichport et voiture Night @ A & W.